Mediterranean Turkish Food is a hidden gem for flavorful mediterranean comfort fare in Framingham. Can you guess what's on the menu at Framingham restaurant, Mediterranean Turkish Food? Probably. But to appreciate what's on offer, you've got to taste it for yourself. 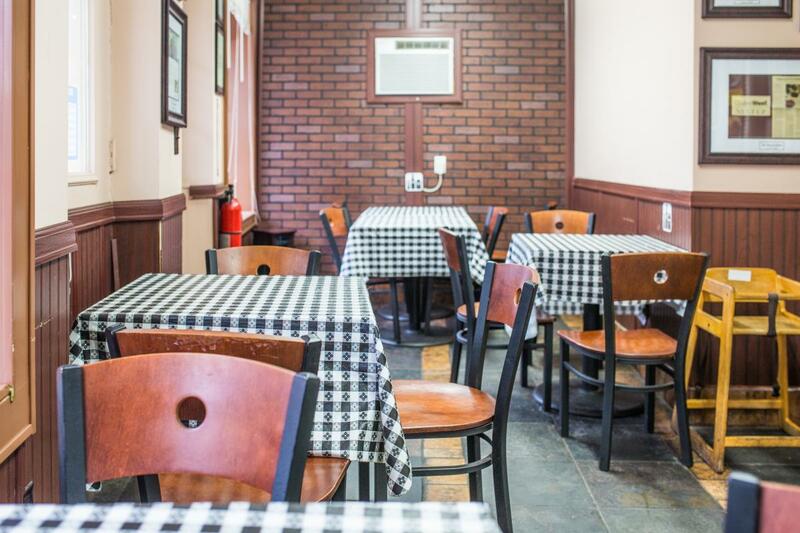 The place is teeny, with just four tables, all draped with black-and-white checkered tablecloths. Customers place sit-down and take-out orders through a window that peeks into the kitchen. 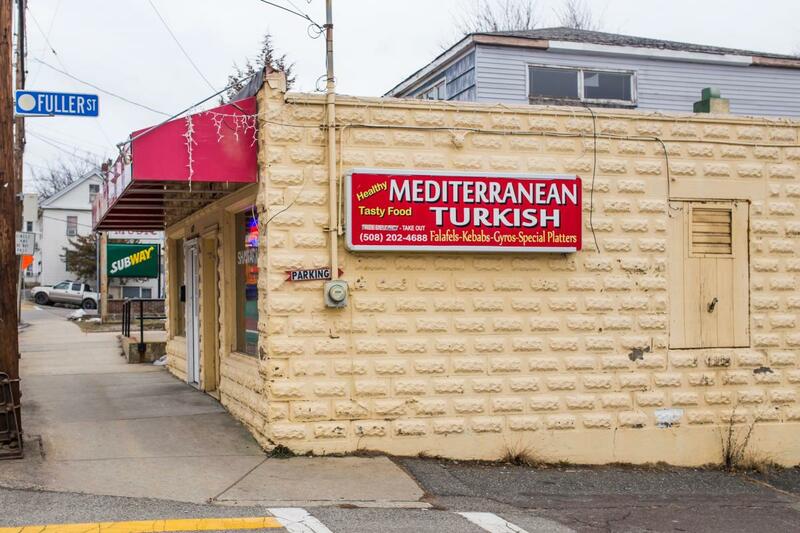 In its most recent rave review, the Globe described Turkish Mediterranean Food as a “hidden gem,” though the paper is clearly doing its best to fix the “hidden” part. One glance at the wall covered in framed Boston Globe articles, and you can see they've got a following. For a year and a half after they opened, the restaurant was called “Subs and More.” How’s that for a headline? I wonder if he was listening to my contented sighs as I worked my way through the menu. 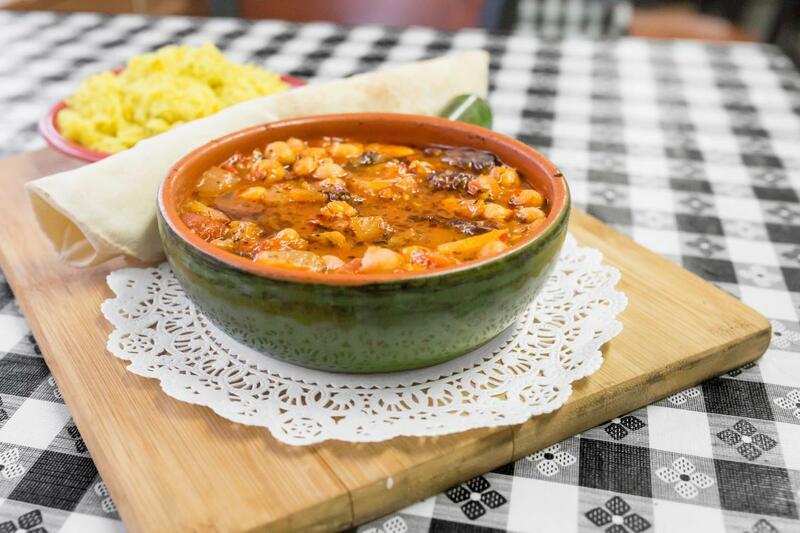 Let’s start with the nohutlu guvec ($9.95), a rich spicy stew packed with tomato, chickpeas, onions, red peppers, green peppers and black pepper, and your choice of lamb, beef or chicken (+$2). The dish comes with sides of rice pilaf and lavash, a thin eastern European flatbread. 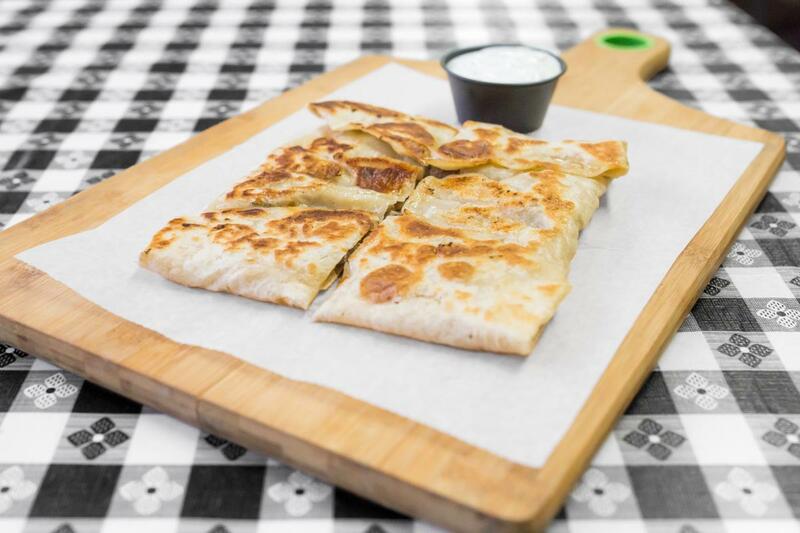 The vezir pie ($6.99) is a simple pastry stuffed with marinated ground beef, with a side of tzatziki, the delectable cool and spicy yogurt sauce made with cucumber, dill and garlic. If, like me, you won't be satisfied with simple side of delicious tzatziki, the addictive dish is also available as an appetizer ($6.25). Other standouts on the menu include the rosemary chicken, served all juicy and fragrant in kabob-form on a skewer ($8.50); the falafels, hot fried chickpea fritters, available in a wrap ($7.50) or as part of a platter ($8.50); and shawarma chicken ($8.50) and beef ($9.95), spit-roasted and served with tahini and hummus. This attention to detail and hospitality, plus delicious food at overly-reasonable prices, might be why the Framingham restaurant has an average 4.5-star rating across 100-plus reviews on the notoriously temperamental Yelp. A hidden gem is a restaurant that many food enthusiasts unwittingly drive by when they should be driving to it. On this note, I confess, I drove by Mediterranean Turkish Food a handful of times and never thought to visit until I found the restaurant’s universal praise online. Don’t make the same mistake I did. There are a number of places around Boston where you can get Mediterranean and Turkish food, but you want to be eating the food here.